This is how one person describes her ADHD. Most people with ADHD can identify with this description in one form or another. ADHD is a brain-based disorder characterized by developmentally inappropriate impulsivity, inattention, and in some cases, hyperactivity. It affects children, teens, and adults. ADHD does not discriminate by race or sexual orientation and is not gender-specific. ADHD affects the way a child learns in school. It even takes a toll on the other children in the classroom. ADHD makes it difficult to maintain healthy relationships with spouses, co-workers, or friends. ADHD can cause someone to have low self-esteem, feel excluded in groups, and disrupts both professional and personal lives. • Schools need information on ADHD to better assist children with the disorder and help them succeed beyond ADHD. • Parents need information on ADHD to better understand their child, recognize symptoms, select the best treatments, and learn strategies that will help their child. • Employers need information on ADHD to understand how to maximize productivity of staff with ADHD. • Everyone with ADHD needs information on the disorder in order to understand their rights, what treatments may or may not work for them, and connect with other who "get" them. Organizations providing science-based information on ADHD are few and far between. CHADD is a nonprofit that provides this valuable and authoritative information to all affected by ADHD. If you are a parent of a child with ADHD, a spouse of someone with ADHD, a teacher, a friend, or even if YOU have ADHD, CHADD needs your help to continue to meet the needs of the ADHD community. If every one of the 15 million affected by ADHD donated at least $1, CHADD could continue its work to inform teachers, assist parents, operate local support groups, and provide information to physicians, pediatricians, or therapists who treat ADHD. 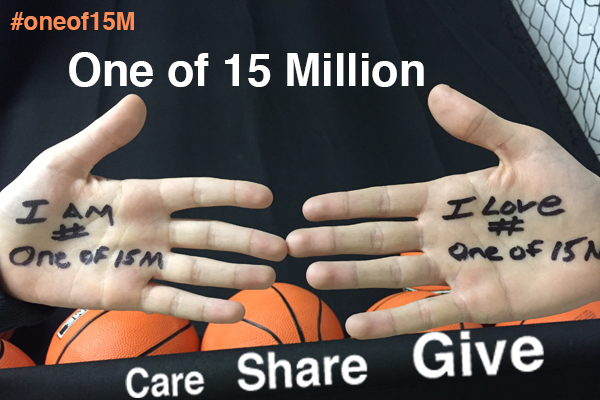 Please donate, show your support by using #OneOf15M and share your ADHD story. Visit us at www.chadd.org or find us on Facebook: www.facebook.com/chadd.org. 15 million people in the US have ADHD. Are you one of the 15M? Do you love one of the 15M? Do you teach one of the 15M? Do you live with one of the 15M? Every day CHADD’s mission is to support the 15 million who have ADHD. We provide the information needed to help make living with ADHD more manageable. But we can’t do it alone. We need you! Your small donation will go a long way towards providing information and support the ADHD community needs. DONATE now to help the ADHD community. Scientist here. ADHD can be alleviated by taking by mouth 250mg of healthy adult male facial skin surface lipid (mostly sebaceous) on a chewing gum vehicle. Can you afford three packs of gum? Have you got 30 minutes free time over three days? You can cure somebody with ADHD. Wipe a man's face with 4 or 5 pieces of ordinary, new, fresh, unchewed Wrigley's sugarless gum. Be careful to keep the gum clean. We use dinner plates to hold gum while it is being collected. Illuminate both sides of each piece of gum with UV light at antiseptic wavelength. Battery powered hand UV lamps can be bought at any drug store in the US. Re-wrap the gum. Continue for three days until you have collected 250mg or about 15 pieces of Wrigley's gum saturated with face grease. The grease must come from a man of father age from skin only a child would kiss: face, neck, chin, cheeks, nose, forehead. Do not collect from anywhere else, especially not the scalp. The pheromone you are collecting is usually passed by fatherly affection with his children. When you have a dose of about 250mg, label it "home remedy" and "not for sale". Give the gum to the person with ADHD to chew thoroughly and all at one time. IMPORTANT, let them sit in front of an electric oscillating fan while chewing the gum. Isolate ADHD kid from kissing anyone for 40 days and keep 10 feet from them. If you must get close to them, hold your breath. When 40 days are up, no worries. For 30 years CHADD has stood for people with ADHD. Now it's time for us to Stand for CHADD! Please make a donation today! 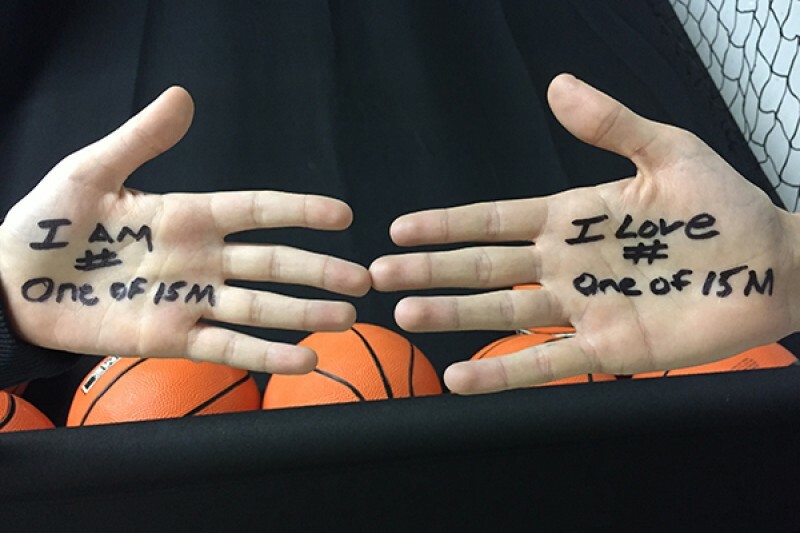 In support of the cause to continue our shared missions of service together, SUFFOLK CHADD of NY will donate $200 by check and will sent onto CHADD National, but not by credit card as is the format required for this site...We also hope many that who are Not "One of 15 Million" especially practicing professionals and service providers for ADHD will be reached in this campaign and also come on board with all of us. CHADD is there for everyone of the 15 million with ADHD and has made such a profound difference in the acceptance and the availability of services. If CHADD has ever been there for you or for someone you love, please take a moment to support CHADD today. I Love #oneof15M......We have come so far over the decades in the treatment and support of families whose children struggle with ADHD. But I see everyday the constant struggles that are not supported in schools! We need CHADD to be there to continue to help with accurate information to allow our families to effectively advocate for our kids! Please support this initiative in any way you can!